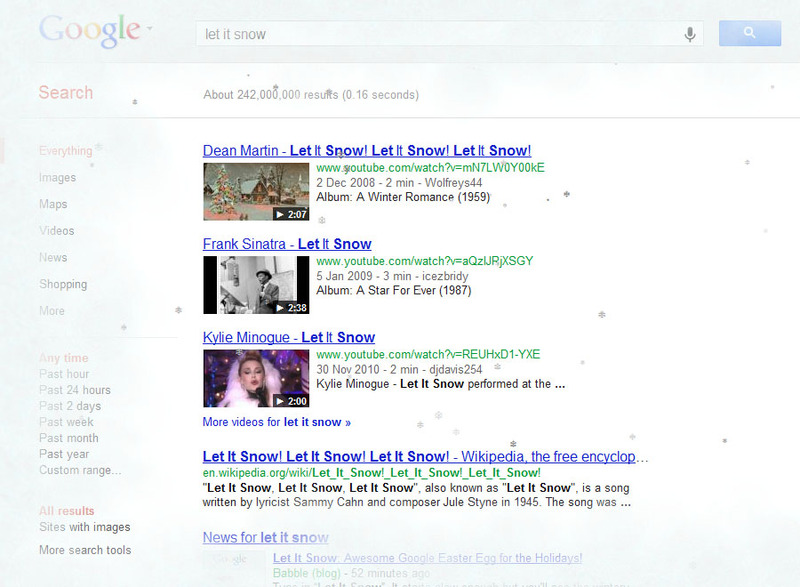 Try do a search for "let it snow" on Google to be adore with the snowflakes falling around, and soon the page will start to frost by the ice. You can wipe it clear or draw something on the frosted page just for fun or share it on Google+ with your friends by clicking the + Share button. Google also provides a Defrost button to defrost the whole page. Beautiful snowflakes still keep falling though.